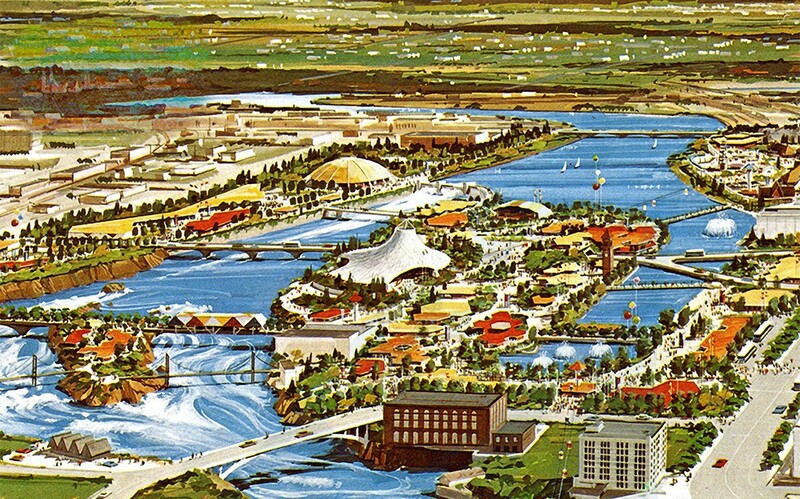 Cost in 1974 dollars to build and stage the World's Fair in Spokane. Immediate economic impact on Spokane was calculated at $700 million. The boom included Nordstrom locating its first store outside Seattle in downtown Spokane, and the renovation of the Flour Mill into a shopping center anchored by Clinkerdagger restaurant. Number of visitors to Spokane to experience Expo '74. Along with tourists, dignitaries and heads of state, a series of entertainers made their way through Spokane during the Fair's 184-day run, from Lawrence Welk to Bob Hope to Ella Fitzgerald to Zubin Mehta and the L.A. Philharmonic. Olga Korbut performed her gymnastics, and the New England Patriots and Denver Broncos even played an NFL preseason game here. At the various exhibition halls, new technologies were shared with the public for the first time, including the 911 emergency phone system, the air bag for automobiles and, most important, the invisible dog — a leash with a wire in it connected to a collar that many could be seen "walking" during their Expo visit. Height, in feet, of the silver bust of the godfather of Communism, Vladimir Lenin, that greeted visitors to the USSR Pavilion — their first participation in a World's Fair since 1939. 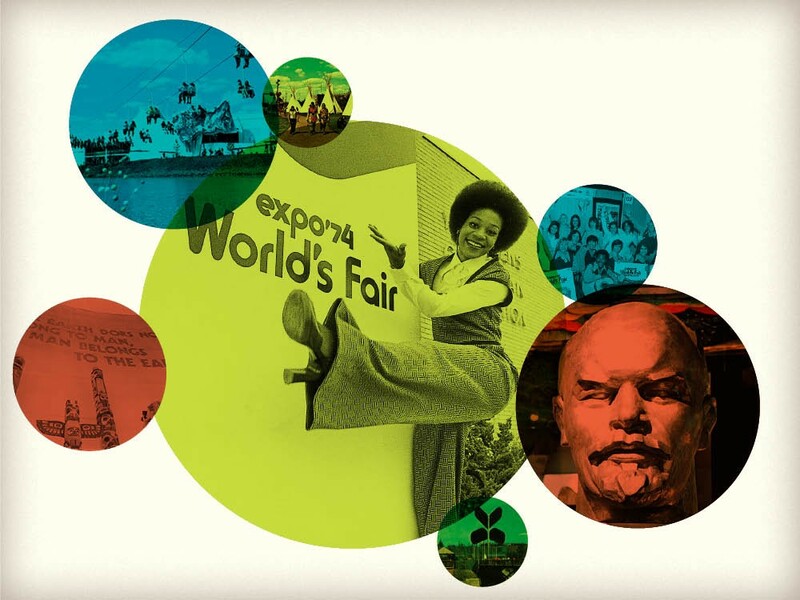 More than 200 Soviets came to work the Fair, including at least a handful of documented KGB agents. A small group even made the trek down to our own Moscow in Idaho and were greeted with a parade. Miles of cable used in the U.S. Pavilion in the center of the Expo Fairgrounds. The structure was paid for by the federal government and stands 14 stories tall; the steel ring at the top weighs 60,000 pounds. The IMAX Theater inside the Pavilion featured a 6,000-square-foot screen — the largest in the world at the time. Covered during the Fair, the Pavilion's white canvas started to fail within a few years and was removed. Months after Expo's opening day when President Richard Nixon would resign office over Watergate. While hecklers joined the crowd, they were drowned out by the cheering throng just happy to see the Fair finally open. The president's detail was so concerned, however, that Secret Service agents donned scuba gear to patrol under the waters of the Spokane River where he spoke. Only one feature of central Spokane's railroad history remained on the Expo site: The Great Northern Clock Tower. There were two train stations located on the grounds, along with a tangle of railroad lines, parking lots and industrial uses (including one commercial laundry that dumped its dirty suds straight into the river). It was all cleared for the Fair and future Riverfront Park. While the Clock Tower also was scheduled for demolition, a last-minute citizens' petition saved the iconic structure. In this podcast, Joe Snodgrass speaks with two sisters who spent the summer at Expo about what they remember most clearly 40 years later.